Instantly downloadable sheet music (Musiknoten zum herunterladen und ausdrucken) von Oscar II Hammerstein for choir and piano (SAB) of MEDIUM skill level. Instantly downloadable sheet music (Musiknoten zum herunterladen und ausdrucken) von Rikki Rockett for voice, piano and guitar of MEDIUM skill level. Instantly downloadable sheet music (Musiknoten zum herunterladen und ausdrucken) von Dean Pitchford for choir and piano (2-Part) of MEDIUM skill level. Instantly downloadable sheet music (Musiknoten zum herunterladen und ausdrucken) von Dean Pitchford for choir and piano (3-Part Mixed) of MEDIUM skill level. Instantly downloadable sheet music (Musiknoten zum herunterladen und ausdrucken) von Oscar II Hammerstein for orchestra (Rhythm) of MEDIUM skill level. Instantly downloadable sheet music (Musiknoten zum herunterladen und ausdrucken) von Oscar II Hammerstein for choir and piano (SSA) of MEDIUM skill level. Instantly downloadable sheet music (Musiknoten zum herunterladen und ausdrucken) von Oscar II Hammerstein for guitar of MEDIUM skill level. 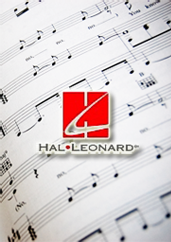 Instantly downloadable sheet music (Musiknoten zum herunterladen und ausdrucken) von Sheldon Harnick for piano solo of MEDIUM skill level. Instantly downloadable sheet music (Musiknoten zum herunterladen und ausdrucken) von Frederick Loewe for piano solo of EASY skill level. Instantly downloadable sheet music (Musiknoten zum herunterladen und ausdrucken) von Frederick Loewe for voice, piano and guitar of MEDIUM skill level.